Game publisher Koei Tecmo and developer Gust recently revealed more characters joining the upcoming JRPG Atelier Lulua: The Scion of Arland. There are two new characters introduced in the upcoming JRPG. First is Totooria Helmold, which will be voiced by Kaori Nazuka. She is the first alchemy disciple of Rorona and after a while she became more powerful than Rorona in terms of alchemy skill. Nicknamed Totori, she is actually widely recognized as an alchemist. Piana used to be her disciple and treats her like a sister and the two work together to spread alchemy to the world. Mimi Houllier von Schwarzlang will be voiced by Yuka Iguchi. She is Totori’s guardian during her travels around the world. She is one of the strongest adventurers in Arland and only a few people can really match her skill with the spear. Mimi is Totori’s best friend and she tends to be haughty due to her aristocratic background. 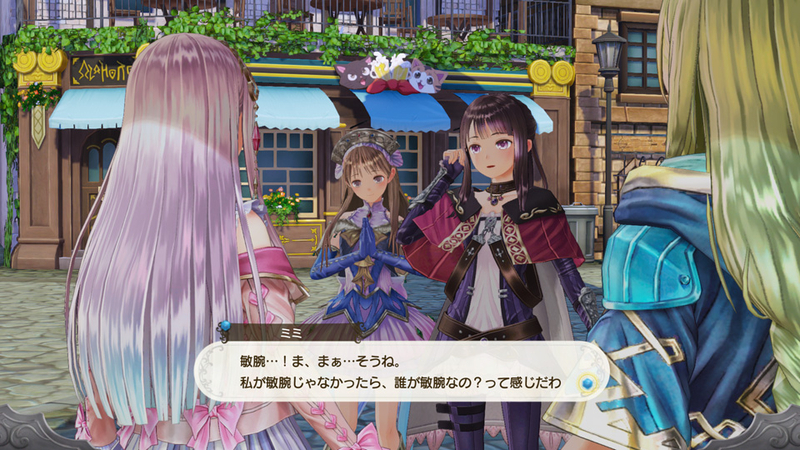 There were new gameplay systems revealed as well for Atelier Lulua. Looking for new areas in this game is somehow similar how it was done in Atelier Totori. Players will need to explore the currently accessible areas as much as possible in order to unlock others. They will have to fight different types of enemies and gather different materials in that particular area to make the Exploration Rate rise, which results to unlocking new areas. If the Exploration Rate reaches 100 percent, it will result in better items. Some areas can be unlocked by solving new riddles in the mystery alchemist book. These new areas will have powerful enemies and more rare materials. Other areas will be blocked at first, which will be accessible later in the game. There are also specific rock materials that cannot be mined either without the proper tools for it. New alchemy system was revealed, which is called the Awakening Effects. These are hidden effects that are included by some materials, and using them when mixing ingredients in alchemy will give the result items new effects that were not normally listed in it. This could lead into some interesting abilities that might help on the journey. The game will launch on March 20 in Japan. It will be available on PlayStation 4 and Nintendo Switch. The west will get a PC platform aside from the two already mentioned and will be available within this year.